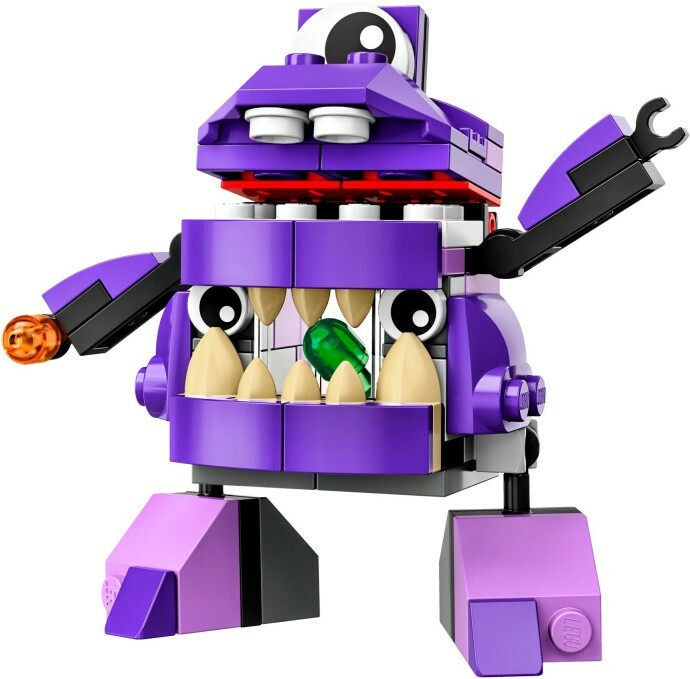 Yesterday, just after we posted an article about Mixels series five images, pictures of the bags were found on an Italian shop website and posted on the Mixels Wiki. Then, a few hours later, another Mixels Wiki user found images of series six bags on a Portuguese shop site. Thanks to matau2004 for the news. Disappointed by more Glorp Corp looking ones, but the others for series 6 look good. I'm not gonna lie. The construction-themed series look pretty good. I got the space ones, I'll probably get those too. Are those new parts for the eyebrows on Forx and the glasses on Dribbal? @binaryeye Dribbal's glasses are just standard minifigure magnifying glasses. Forx's eyebrows are grey bananas, which are new in that color. Hope this helped! Thanks for crediting the wiki, Huw! Indeed, it starts looking repetitive, at least in parts of the two series. There are still pretty cool ones there as well though. These are really starting to be rather boring. I'm a huge fan of the Mixels, cheap and some nice small newer parts, but man the creativity is really dead in the green ones. The purple ones are fun though.